Humans have had a special bond with their tools since ancient times as they were the means of survival, used for various purposes, from defence to hunting and farming. The ability to come up with tools is what set evolution of human mind forward, creating a big difference from that of animals. Fast forward to today, we still have that bond yet much more advanced and, while this may place us at a much better position than our ancestors, it can complicate things. If you want the job done properly, you have to know your tools. Considering there are multiple brands and manufacturers, how’s one to choose the proper tools? Let’s take the industrial hose for instance, as its role is rather widespread. There are many hoses suitable for various purposes, situations and can be coupled up with indoor and outdoor machinery, yet even the choice of a simple water hose for agricultural irrigation can seem complex. Well, first things first, you have to start with the materials that the hose is meant to convey because what’s ideal for water, air and steam isn’t the least bit suitable for solvents and acids. Considering water, air and steam hoses are the ones mostly used in different industrial plants, you’re going to get more info on them further in this article. Since durability is all about quality, and quality is all about material, you can bet you’d get the quality water industrial hose when it’s one made of PVC. This material is all about strength and flexibility so you wouldn’t have to worry about surprising damages. Then again, even if it’s made of PVC, the degree of connectors and valves quality is also a great determinant to the durability of the hose you decide to buy as connectors are important when it comes to withstanding temperature. 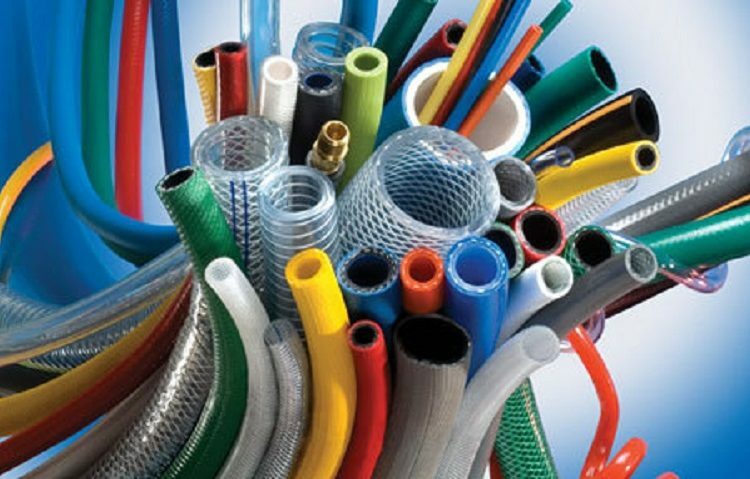 A good manufacturer and supplier would let you in on the specifications, such as operating temperatures, UV stability and whether the hoses are resistant to abrasion, wear, crushing, certain chemicals and other external conditions (oil and grease contamination, heat, end loads, flexing) because they all determine the life of a hose. Having in mind getting the perfect fit is a must, you have to look into the inside and outside diameter of the hose application – the compatibility with the hose cover and couplings. Since it’s the case with industrial hoses, not just meant for your gardening but agricultural irrigation and construction industries in general, pressure as a factor (working and burst) is of the essence, giving you the notion of the amount of pressure the hose of your choice can handle. Looking for the air and steam hoses isn’t any different either because it all comes down to the same aforementioned factors so get all the info you can before you make your purchase.